Thinking of Building a Custom New Home or Dual Occupancy? Renmark Homes is a specialist custom new home builder in Melbourne, with a focus on architecturally designed, luxury new homes and dual occupancy development. When you have Renmark Homes build your home you will benefit from our vast knowledge of designing and building properties. 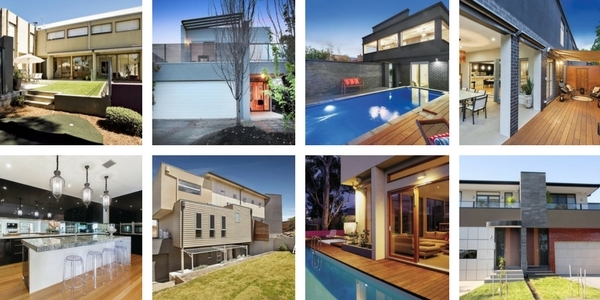 We choose to build in selected suburbs throughout the inner north and west of Melbourne. You will be building with a company that has earned a 5 star rating reputation as builders of prestige, well appointed homes regardless of size and site difficulty. For more than 20 years we have been building custom homes for customers that need a builder to share their vision for their home. Attention to detail and service excellence are the hallmarks of our company. We are family owned and operated by a team dedicated to assisting our clients achieve the home of their dreams. Here's why people choose Renmark Homes as their new home builder. We do not operate like volume builders who offer a low price, low choice, mass produced home. We offer an exceptional alternative to display homes for those who want something that is truly uniquely theirs. We share your vision, listen to your ideas and together we will build a home that matches your lifestyle choices. Our clients need more from a builder than the cheapest price. They want an outstanding home with a superior finish throughout. Renmark Homes is an accredited Master Builders of Victoria Green Living builder, a HIA Green Smart Professional and a Registered Building Practitioner. We have earned a number of awards from our industry body, in recognition of our commitment to quality housing.